Etching of Stillwater Prison from the Illustrated Historical Atlas of the State of Minnesota, A. T. Andreas, 1874. 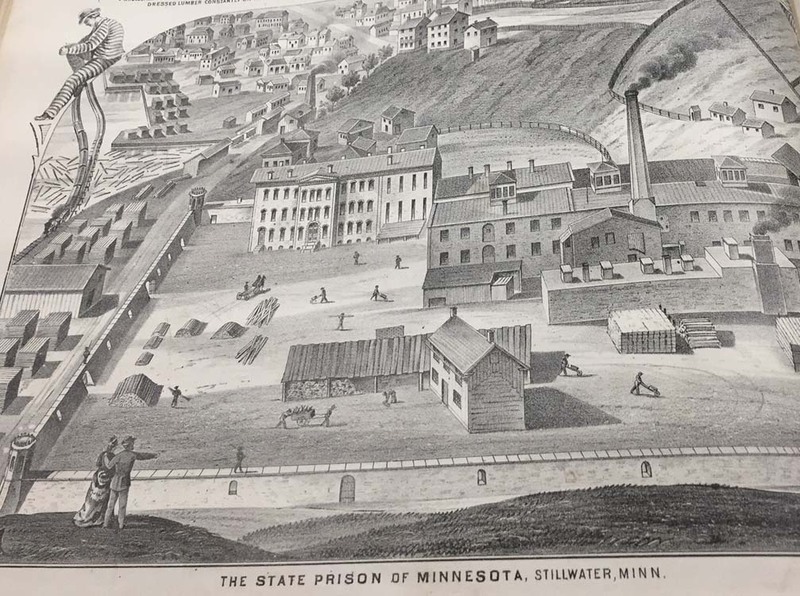 This etching of Stillwater State Prison is from the Illustrated Historical Atlas of the State of Minnesota by A. T. Andreas, published in 1874. To complement the States of Incarceration exhibit on level one in the Irvine Room, we thought it timely to highlight our State Archives collection of prison records, along with selections from the 3D Objects and library collections. We hope to give a glimpse of the humanity of those within the institutions by sharing what life is like through records documenting prisoner treatment; how people who are incarcerated occupy their time; and prison industries. This exhibit will be on view in the Library Lobby until the end of February.